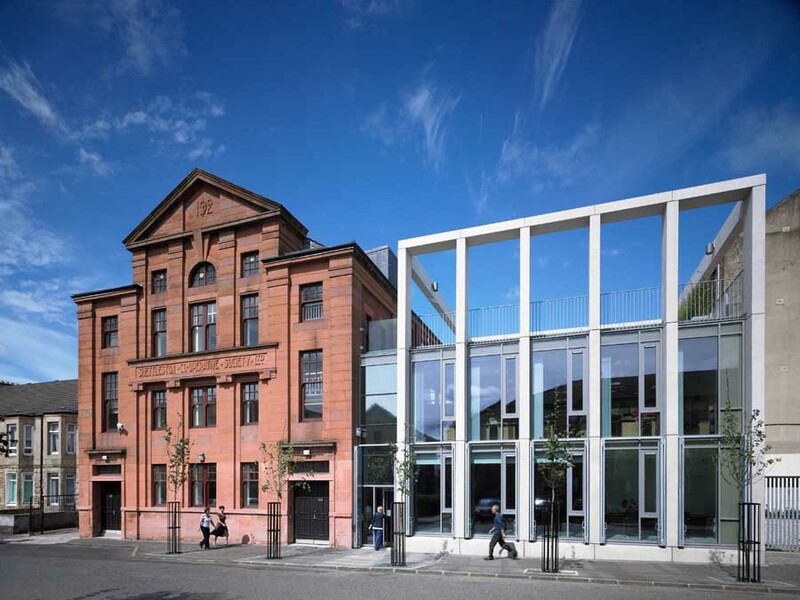 The creation of Shettleston Housing Associations Office involved the adaptive restoration of the Co-operative Hall; a historically, culturally and architecturally significant building within Shettleston, to create new office and public reception space which will afford the Association the opportunity to further expand and to continue to effectively serve the local community for the foreseeable future. 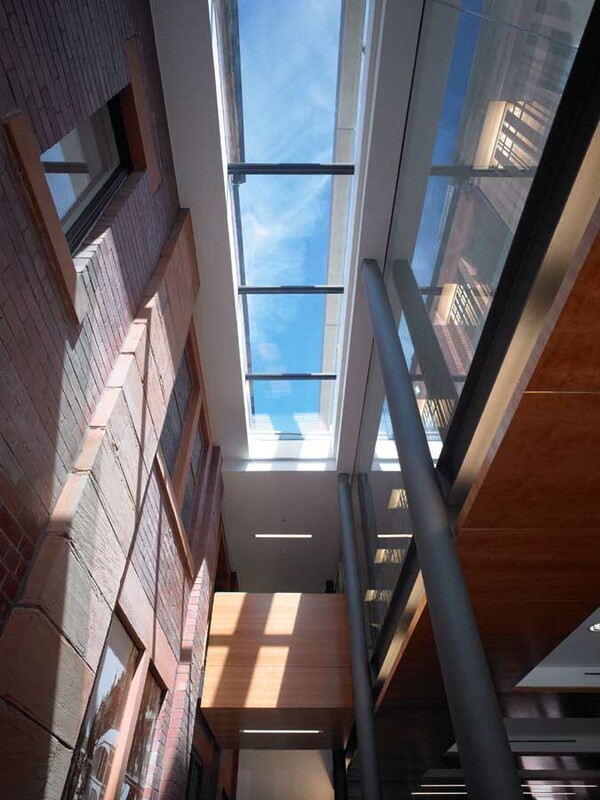 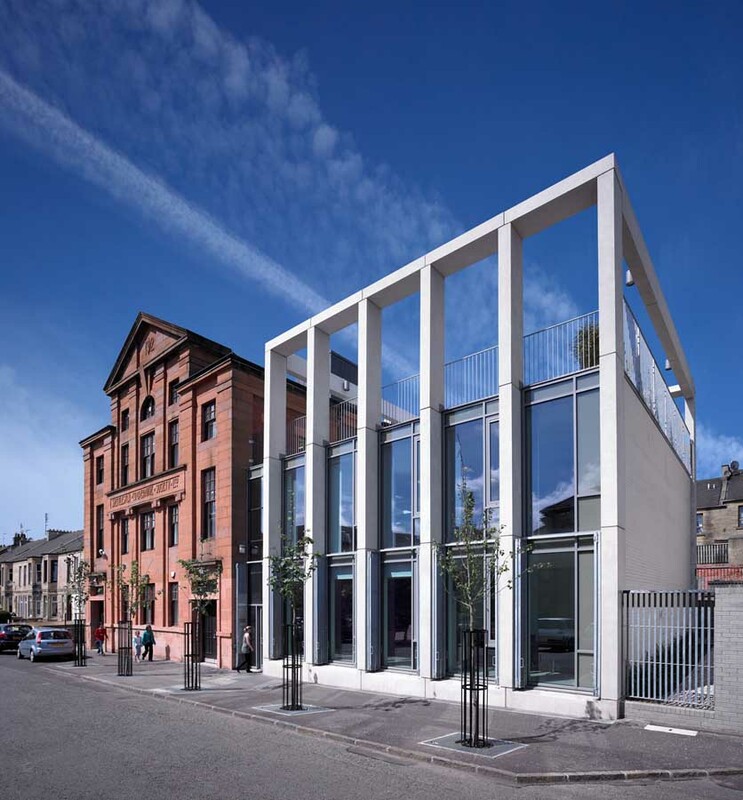 The new build extension has been sited and designed to acknowledge the mass of the existing building and in terms of its elevational treatment, provides a formal response which is drawn directly from the vertical rhythm of the stripped neoclassical sandstone facade. 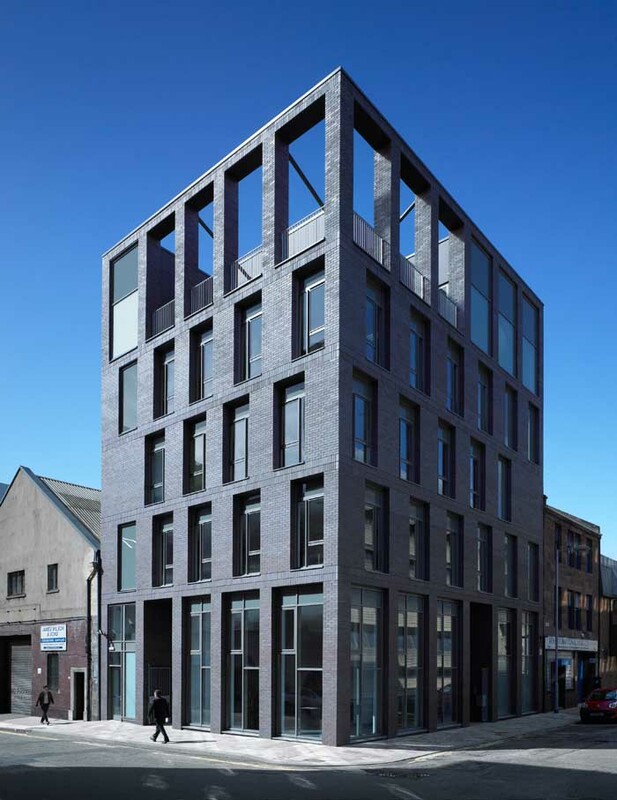 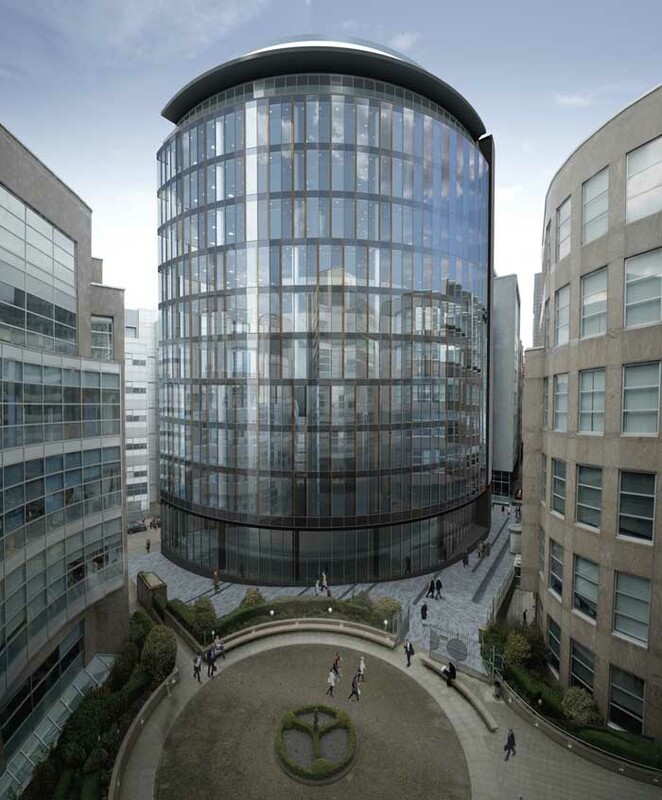 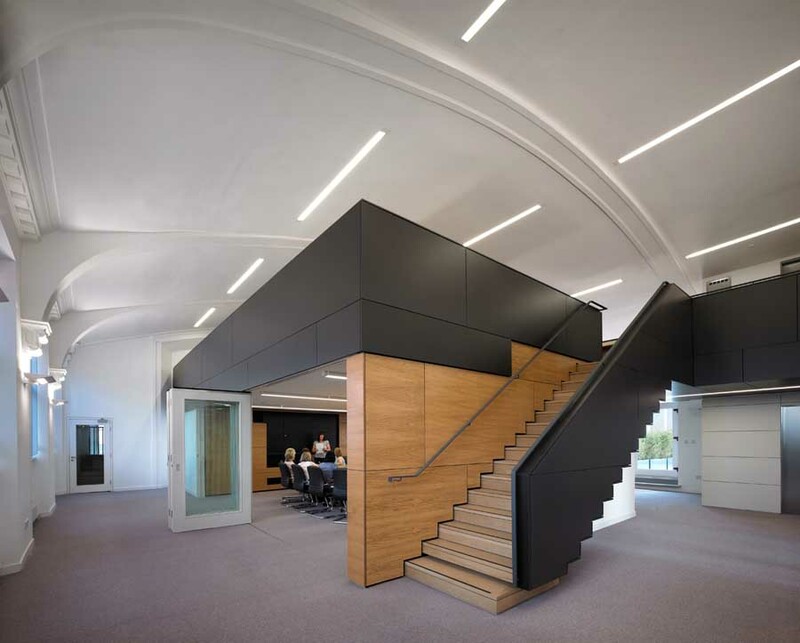 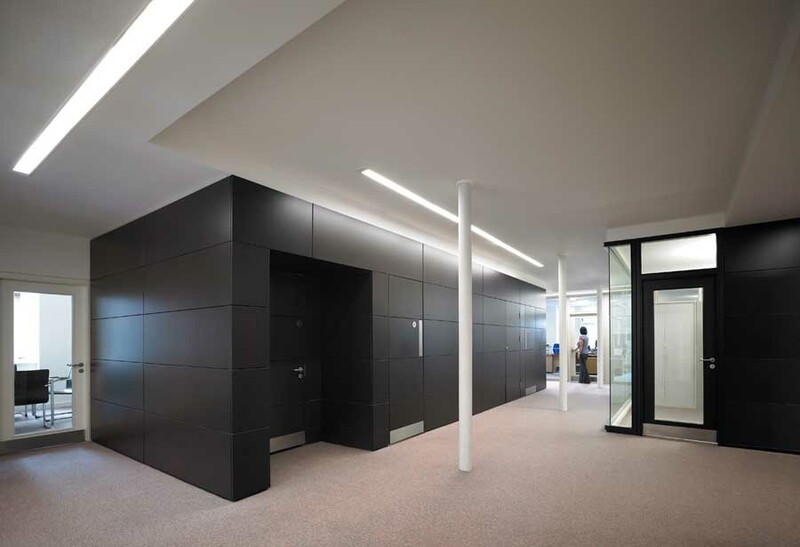 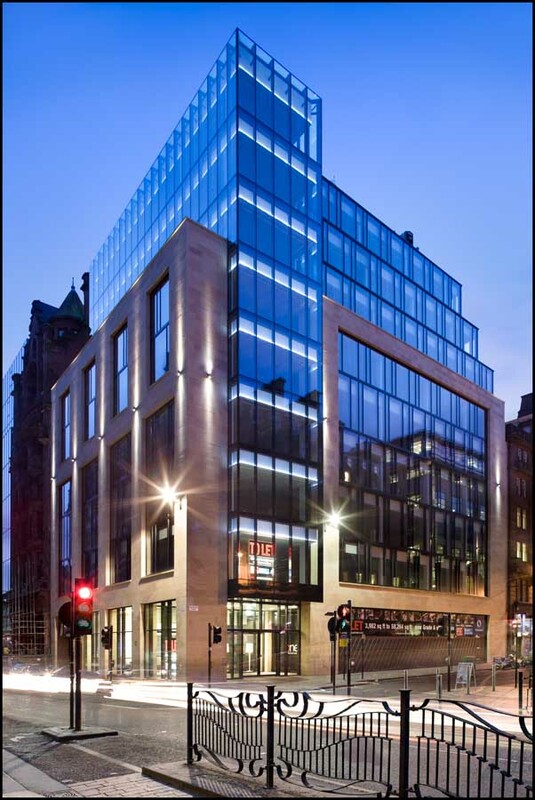 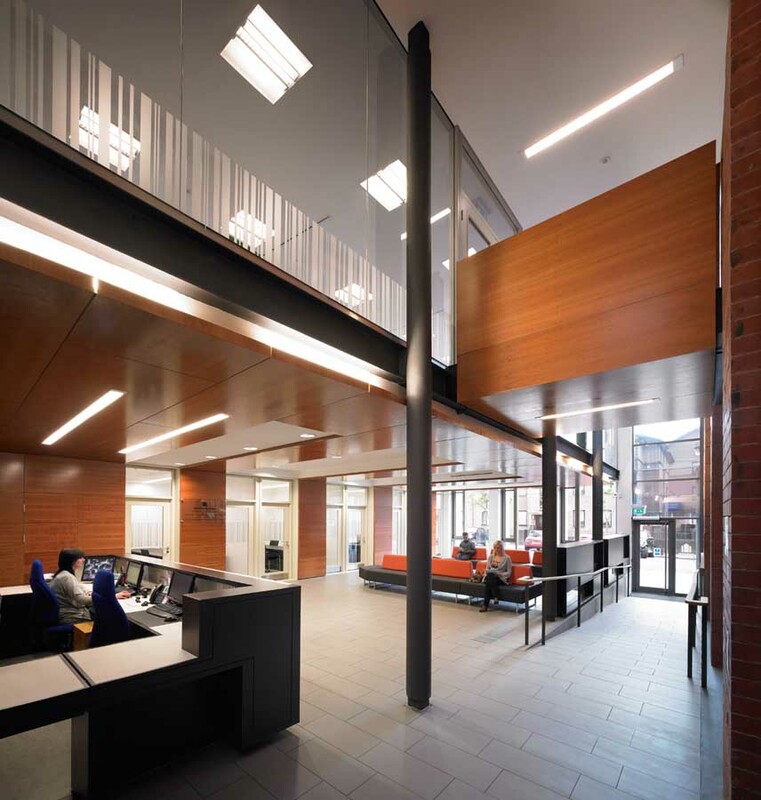 The materials used are contemporary and purposefully distinct from the existing building to celebrate the reinvigoration of the offices, taking a marked step away from architectural moves which can appear as a pastiche of the original. 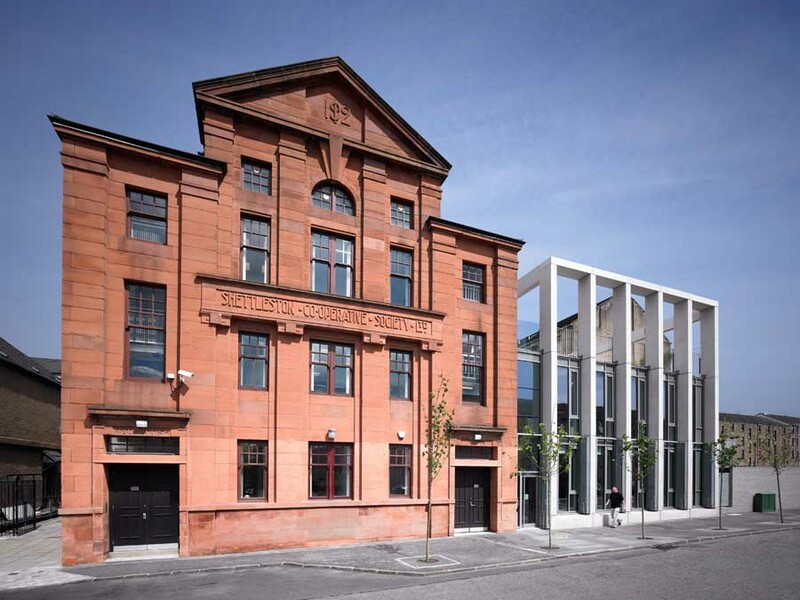 They are strong and robust in character and an appropriate response for a building from which the Association will operate for decades to come. 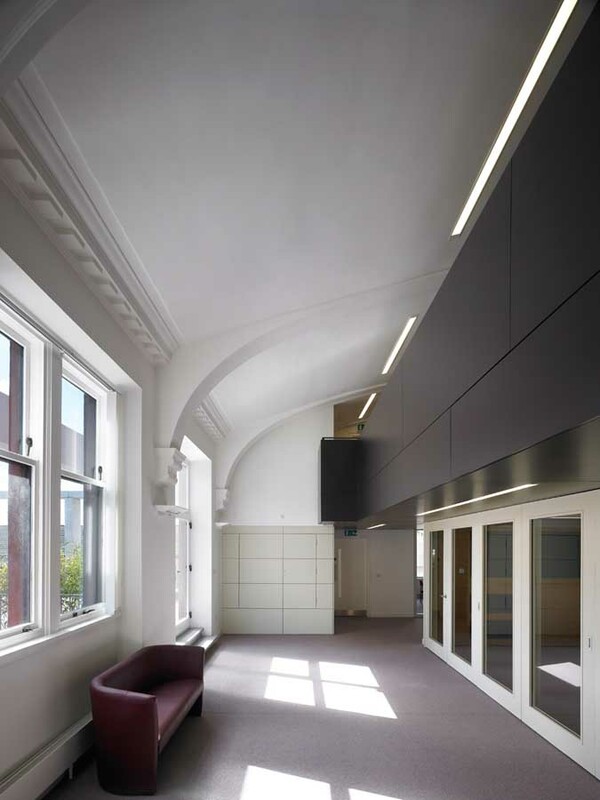 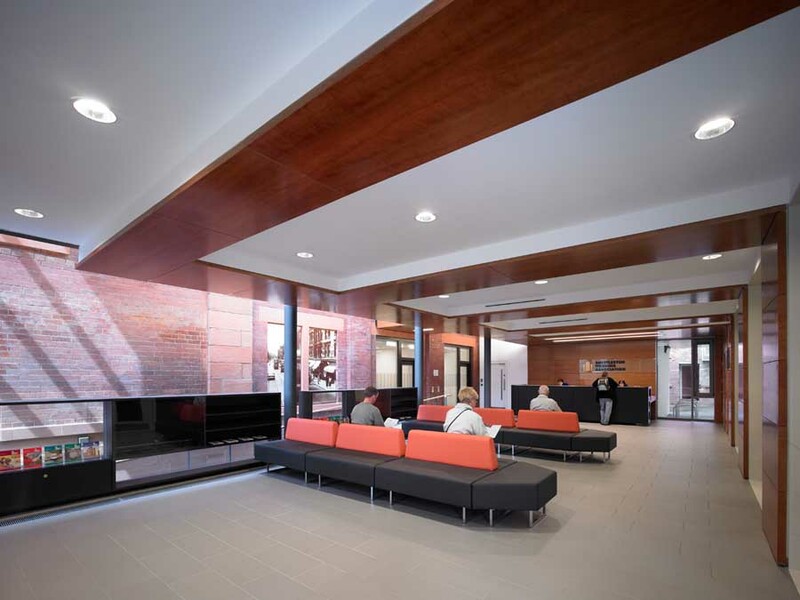 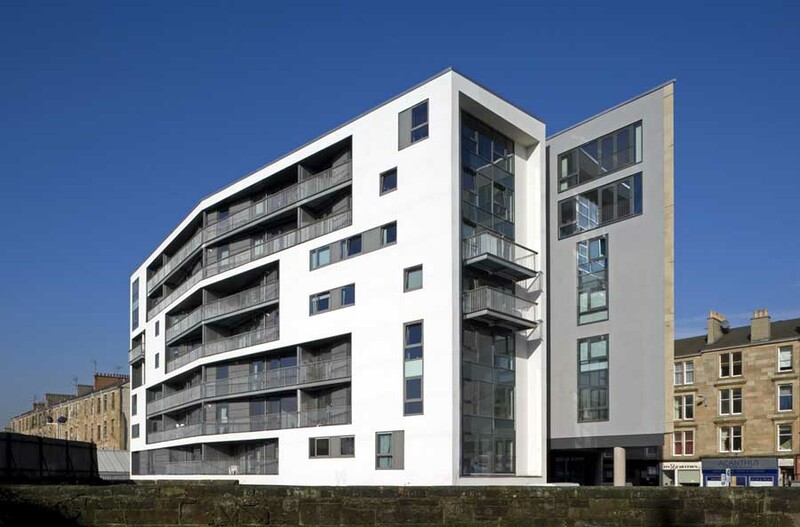 In both the refurbished and new build elements of the project the new internal environment is one which has been arranged to afford all building users the maximum opportunity to access natural light and ventilation. 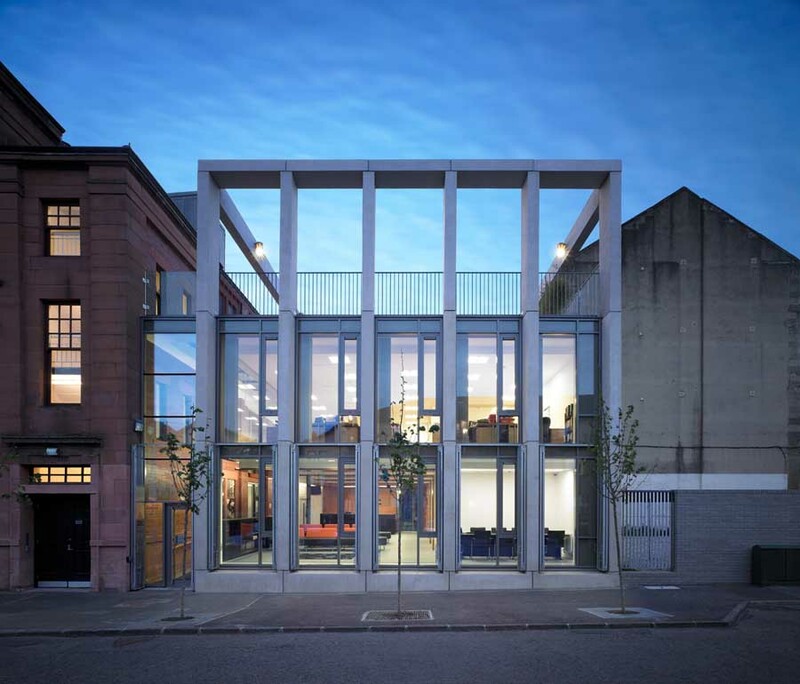 The project seeks to act as a beacon and driver for investment in this historically deprived area of Glasgow and to provide a base where the Association can effectively work and serve the local community.